A killer for hire. It's the last thing Cailean Grant ever thought he'd become, but being part of the Black Riders was his only way to survive. Now, his guilt grows day by day, along with his desire for the beautiful, brave lass nursing him back to health. As Christmas, the season of miracles, draws near and the truth of his identity threatens to come out, Cailean must risk the only thing he has left to lose – his heart. Paula Quinn has a talent for creating a sense of time and place that immediately immerses me in her fictional world and characters who I come to love like family. I've followed her outlawed but honorable MacGregors and Grants into a second generation and will happily continue reading about their lives and loves as long as Ms. Quinn continues to write their stories. In Temperance and Cailean, Quinn has created one of my favorite MacGregor/Grant couples in an emotional story that will be going straight to my keeper shelf. I highly recommend A Highlander's Christmas Kiss. This book stands well on its own but for maximum reading pleasure, and to better understand Cailean, you may want to first read The Taming of Malcolm Grant. What? What had he said? He realized quickly enough, scowled, and then smiled, giving in to what his heart was telling him. “Ye are—” He paused, not truly sure what to say. He hadn’t wanted to care for her, but he did. He’d let her in, but how could he have denied her entrance? She’d been through much, thanks to him, and yet she still smiled, she still sang, she still had compassion to help him heal. 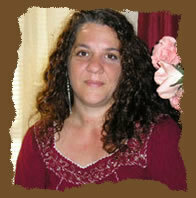 Her wide, beautiful eyes glittered like the snow dusting the braes. He wanted to lose himself there in the expectant hope that lit her gaze. She waited in silence while he fought his demon for her. Her hope began to fade to disappointment. It made him smile to think her hope was to be with him and she was waiting to hear him tell her. “You see?” she said breathlessly. “Just fine.” She closed her eyes and parted her lips when he dipped his head to hers. He kissed her again, barely holding back the passion raging inside him to be released. 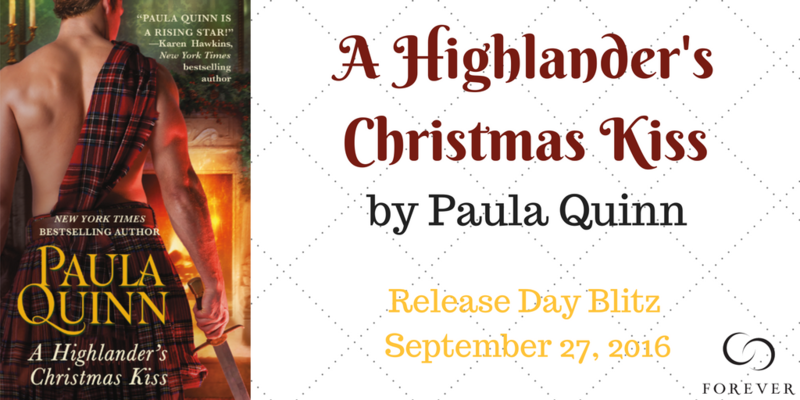 PJ, thank you so much for hosting the release blitz for A Highlander's Christmas Kiss! Thank you also for the lovely review. I'm so glad you enjoyed it! My favorite type of read - sounds wonderful!!! This does sound like a terrific story. An angst filled hero and a beautiful heroin. Thanks for the introduction to this book. Actually I meant heroine. I do not think anyone involved was under the influence of an illegal substance....not even me. I haven't read a story about a Highlander in a while - this looks like a good choice. I recommend anything Paula Quinn writes, Di!